If you prefer using dark modes on websites, you’ll be happy to know that the option is now available on YouTube as pointed out on Reddit. But it will require delving into your browser’s developer tools to activate the new YouTube layout How to Activate YouTube's New Design Right Now How to Activate YouTube's New Design Right Now YouTube has a new design but it isn't public yet. Here's a quick trick you can use to see what the new design looks like! Read More . The first thing to do is go to YouTube and make sure that you’re logged in before you access your browser’s developer tools. To access Chrome’s developer tools, go to View > Developer > Developer Tools and go to the Console Tab. You can also get there by using the keyboard shortcut Cmd + Option + I on Mac or Ctrl + Shift + I on Windows. Go to View > Show Developer Tools. When the Developer Menu shows up in the menu go to Developer > Developer Tools. You can also use the keyboard shortcut Cmd + Option + I on Mac or Ctrl + Shift + I on Windows. Go to Tools > Web Developer > Web Console or use the keyboard shortcut Cmd + Option + K on Mac or Ctrl + Shift + K on Windows. You can’t access developer tools in the regular download of Safari. Click on your profile picture in the top-right corner and click on Dark Mode. You can then toggle the feature on. Close the console and refresh the page, and YouTube should be back to how it looked before. There are some drawbacks to using this layout. It removes the Google Chromecast button from the video — but you should still be able to cast videos from the browser button. What do you think of YouTube’s dark mode? 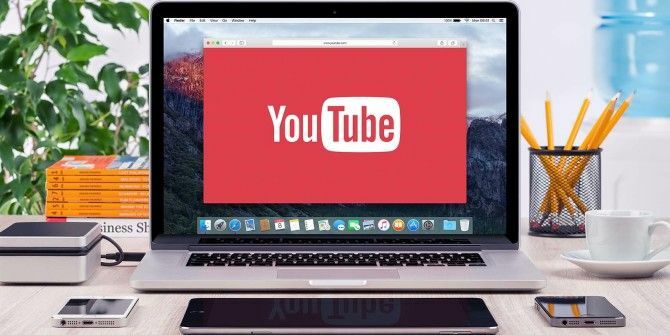 Do you plan to use it or do you prefer YouTube the way it is? Let us know in the comments. That is how YouTube appears on my Roku Ultra. I don't well understand the script. Why do we set date to last year date ? When setting it up, you set it to one full year so that you don't have to enter the script every time you open CHrome.